Apple this week launched a new limited time discount on its Beats EP headphones, Beats Pill+ speaker, and urBeats earphones, which are all on sale for approximately $20 to $30 off. The Beats EP On-Ear Headphones are available for $99, down from the original price of $129.95. All colors are available at the discounted price, including red, white, black, and blue. 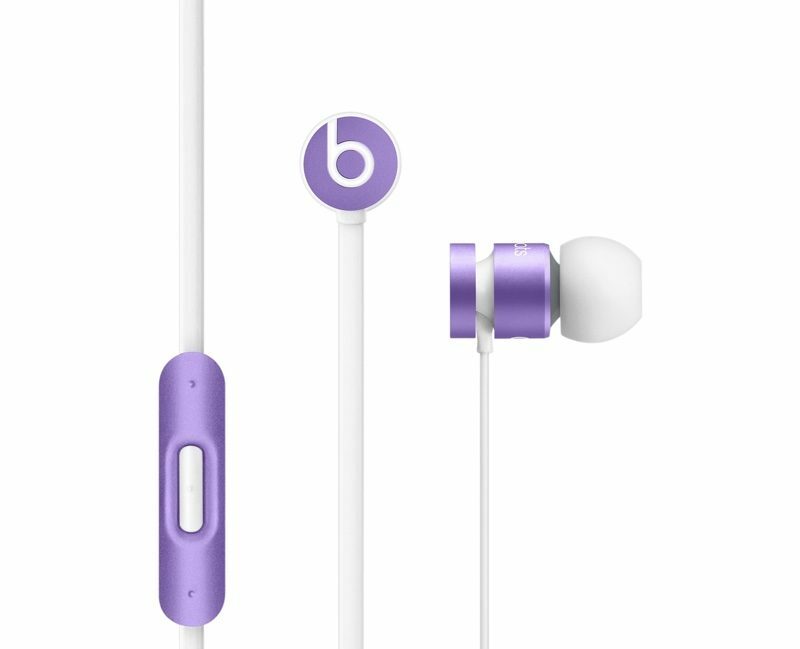 The Beats EP are Apples most affordable on-ear headphones, coming in at a lower cost than the Solo3 models. The Beats Pill+ Portable Speaker is available for $199, down from $229.95. All colors are discounted, including white, black, and red. Both the Beats Pill+ and the Beats EP On-Ear Headphones were discounted by a similar amount in late 2016 and early 2017, but Apple has not recently offered a sale on the urBeats. With the promotion, the earphones are priced at $79 instead of $99.95. All colors available from the Apple Store are included in the sale: silver, gold, space gray, rose gold, black, and ultra violet. Apple's prices are a decent deal, but similar and occasionally bigger discounts can often be found from retailers like Amazon and Best Buy during routine sales. According to the promotion details, Apple's sale will last from today until August 26, 2017 at 11:59:59 p.m. Pacific Time. I dont think Apple will ever make the 3 billion dollars back that it paid for Beats. Apple is losing tens and tens of professional customers right now. Not the "me too" good-for-nothing typical consumers - they'll still buy the cheaper models - but artists, photographers, editors, media professionals who need as much space and as much speed as they can, but might prefer the visually and under the hood beautiful macOS / OS X to the hideousness that's every non-Apple desktop OS out there, starting with the Windows. I can only speak more myself, but I depend on Apple products (Macs, iPhones, and iPads) to run my business efficiently. Could I run my business on Windows? Yep. Could I have a cohesive experience on the Windows platform like I do with Apple products? Nope -- at least not as far as I can tell. Microsoft looked like it was trying to get there with Windows Phone, but that never really took off. Since I depend on Apple products in my business, I budget for them out of the business revenue. I don't replace a product that's working fine just because something new and shiny comes out; but I do budget for new Apple products because I know that like all electronics, they will eventually fail past the point of being realistic to repair. I suspect that many people who depend on Apple products for their business do the same. Apple had better discount the MacBook Pros and iMacs, particularly the higher-end models. An update is due for Me, but I'm not going to shell out €5.000,- for a laptop. €3000 - maybe. €5000 - absolutely NOT! Apple is losing tens and tens of thousands of professional customers right now. Not the "me too" good-for-nothing typical consumers - they'll still buy the cheaper models - but artists, photographers, editors, media professionals who need as much space and as much speed as they can, but might prefer the visually and under the hood beautiful macOS / OS X to the hideousness that's every non-Apple desktop OS out there, starting with the Windows. Poor Steve - he'd never give the stupid man the reins of Apple had he known... What a mistake!.. There are some black adapters on Amazon and eBay but I’ve been burned by cheap accessories before and won’t risk it again. If there was a MiFi certified or at least a well known brand one I’d buy it. Wait for Windows Surface phone. Apple: Buy 3 devices to run your business offering 3 different user interfaces and apps. Chaching! Microsoft: Here's 1 device, 1 OS. Its a simplistic explanation but I appreciate the theoretical VALUE of a surface laptop or phone (via Contiuum) and not having to switch between, and maintain different devices. I like the Beats EP but it seriously frustrates me that I can’t plug them into my phone. The white adapter just isn’t gonna happen if I’ve got a black phone and black headphones. Can’t do it. They make way more than $3 billion every year. You mean they haven't sold 3 billion in profit from beats headphones? Don't forget that Apple Music only exists because of the beats deal. So money made there would be from beats. The speaker and headphone tech Apple is involved in has to be somewhat influenced by the beats deal. I would argue the beats acquisition has paid for itself and then some.